There is a comforting embrace to be found in the darkness, and it can be found in Pink Skull. The Philadelphia-based analogue project just released their latest full-length album ‘Huitlacoche’. The album, released on My Favorite Robot Records, was available exclusively on vinyl, but you can purchase it on digital format here. Cited as a “metallic, liquid, and raw affair, delving into urban landscapes and deep space industrial wastelands” by the carrying label, we couldn’t agree more. As a trio of musicians wielding analogue synthesizers, this band combines mechanical and organic worlds into one neon existence. These guys are connected to the music the entire time they are playing it, shaping the sounds right in front of you. It takes a particular breed of talent to master the patient and progressive methods of beat making associated with the Minimal House genre. It’s all about taking one theme and carefully developing it over time, pushing each individual layer to their evolutionary limits. By carefully altering the depth and texture of the sounds themselves, the right artists can sink further and further into a a limitless abyss. Pink Skull is a group of gentlemen who possess these characteristics at a DNA level. > Also check out the “Music To…Escape To” Mixtape, released as a precursor to the album, here. 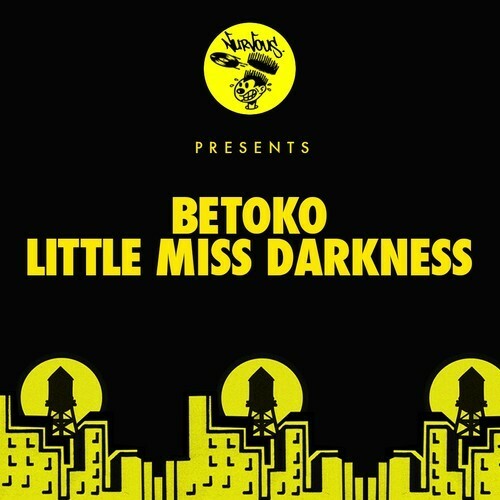 Betoko- Little Miss Darkness EP OUT NOW on Nurvous Records! Betoko, London’s prince of analogue house music, released a new EP last week on Nurvous Records. Embrace the shadowy comforts of his latest single, “Little Miss Darkness”, paired with a dub version of the title track as well. You can purchase it on Beatport now, and preview the song below! 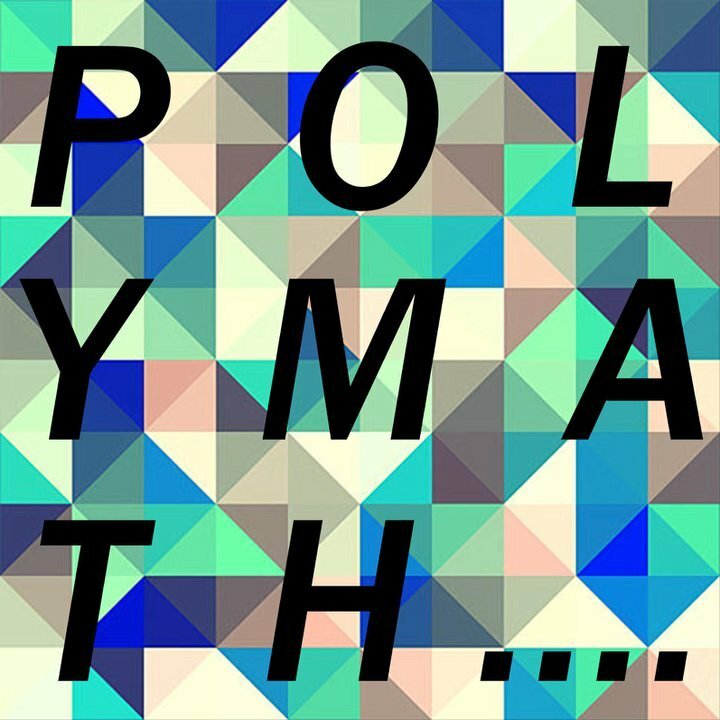 Polymath is a Scottish house artist working hard on upholding his reputation as an elite producer. He possess a great deal of range compared to other artists in the field, so much in fact that it’s almost trivial to confine him to a genre. His style isn’t localized to one particular set of characteristics, but many. His latest original, “LakeFlakes”, takes a plunge into a deep analogue atmosphere, perfect for passing the street lights alone in the sometimes surreal late hours of the night. Check out the link below and let us know what you think; this one is a contender for our coming top countdowns so we’d love your feedback! 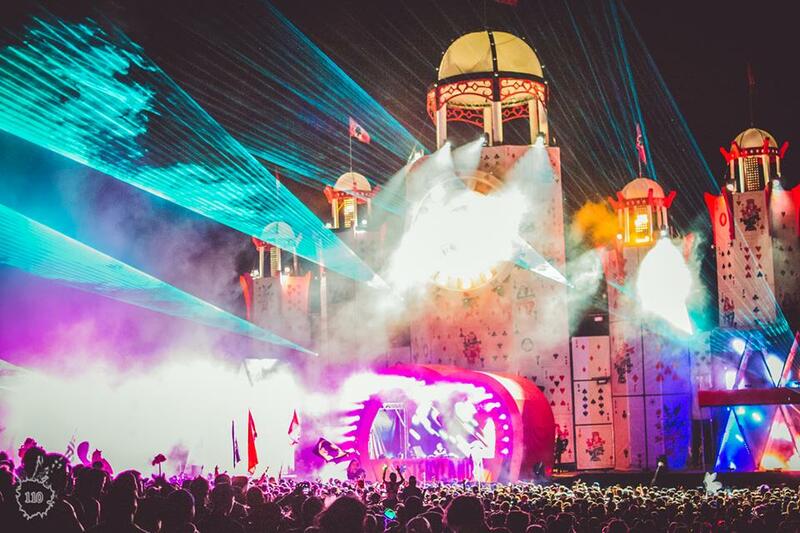 Allow us to introduce to you The Acid Symphony Orchestra, a shining example of what separates menial elementary DJ’s from the innovative and original artisans. My Favorite Robot Records’ own Jori Hulkkonen conducts a collective of instrumentalists playing compositions exclusively on analogue synthesizers. The evolution of electronic music has both blessed and cursed the industry. Technology gives true artists the ability to translate their ideas in the most accurate way possible, but has also caused an influx of laziness in the mainstream. 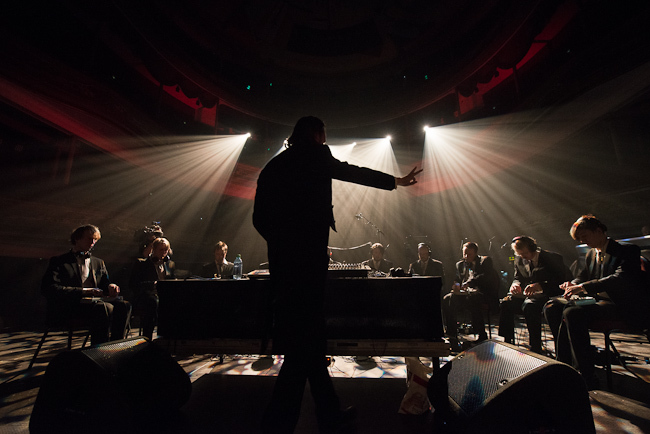 The Acid Symphony Orchestra has somehow not only evaded that conflict, but stepped far beyond its boundaries as well. This is an orchestra in the purest sense of the word. There is no light show. Everyone on stage remains seated, and there is a conductor to guide them. 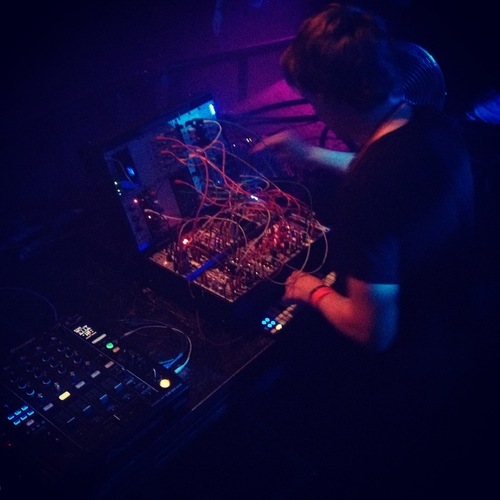 Their music weaves through psytrance, delicate interludes, minimal, and sound exploration. 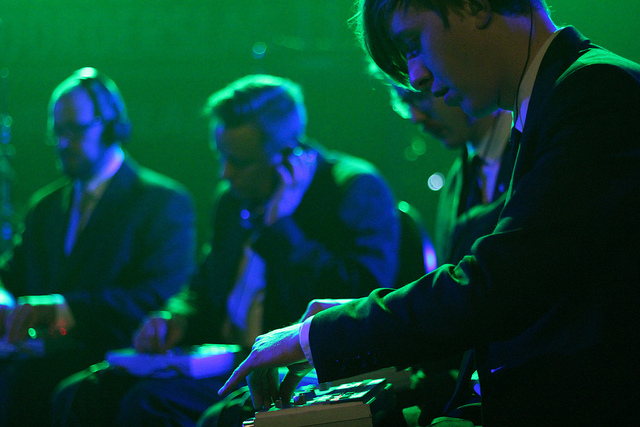 Each member operates a Roland TB-303 Bassline Synthesizer and a TR-707 Drum Machine, which are completely analogue. This is live electronic in its rawest state. These instruments are not hooked up to any triggers other than that of the musician themselves and have been in use for over 30 years. The TB-303 debuted in 1982 and syncs directly with the TR-707 Drum Machine, allowing each member to be completely in tune with each other at all times. The analogue quality feeds into a nostalgic Electro sound that’s unlike anything used today, and with the right mind behind it, can sound better than the software available now. These instruments were initially made to replicate, in the best quality possible, the role of a bass and drum player for those who did not have access to one. Thus, the dawn of one single musician being granted the power of creativity and authenticity of an entire band. However, here we have 10 members in control of these instruments. Regardless of the technology gap, the principal concept remains the same, and leaves almost unlimited musical potential for this act. Jori Hulkkonen is most definitely aware of this. He has been making music since 1988, and has been referred to as “the most underrated producer in the world” by DJ Magazine. 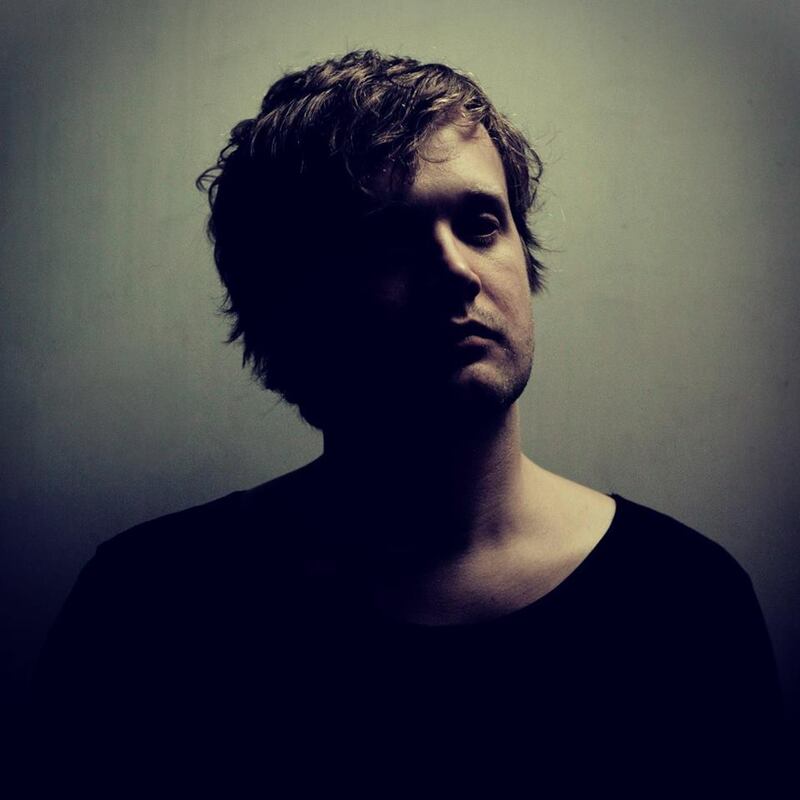 Born in a different generation of electronically produced music, Hulkkonen is a musician of a better era, at least in his tastes. Predominately a house artist, he mostly produces deeper and instrumental tracks under his own name but has many other side projects. In the past he has done remix work for The Presets, Chromeo, and Goldfrapp. Over recent years he has been heavily affiliated with My Favorite Robot Records, one of the most respected labels in underground house music. It is here that he seems to most comfortable, and where has can freely manifest his creativity. 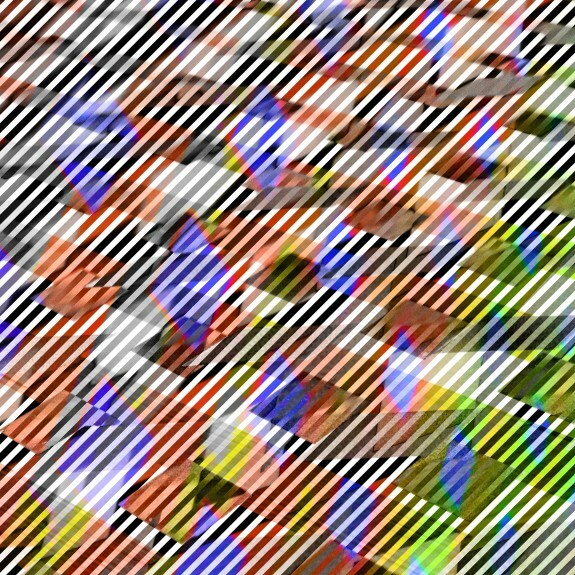 Acid Symphony Orchestra is simultaneously moving forward and backwards through time. They’ve only played 12 shows since their formation in 2007, and each without flaw. No matter what kind of music you may be into, this is not bound by genre. This is sheer musicianship.